It’s difficult to discuss moringa without feeling like you’re bragging. Some call it the miracle tree, and the number of gifts it offers makes clear why. Ounce for ounce, moringa leaf has twice as much protein and calcium as milk, and similarly impressive amounts of beta carotene, vitamin C, potassium, iron and other beneficial nutrients. 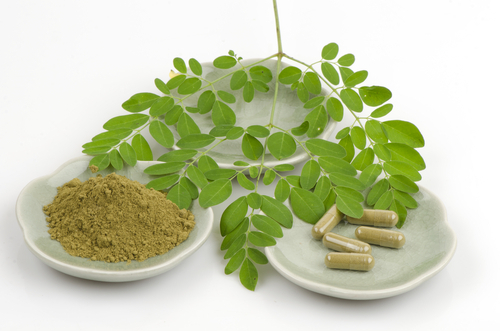 Moringa has also demonstrated some promise in treating or preventing hundreds of diseases. There are several types of moringa that have been used for both food and medicine for at least 4,000 years. The variety that gets the most attention is moringa oleifera—a fast growing, draught tolerant tree native to India and Pakistan. The small, round leaves taste radishy with a spinach-like texture, and can be eaten fresh in a salad, or dried, powdered, and sprinkled on food like a condiment. Moringa has long pods that, when young, are eaten like fat green beans or okra. The seeds are eaten like peas or crushed into a nutritious oil. Even the flowers and roots are edible. Only about a decade ago, moringa was virtually unknown to the world at large. Even many people living in the tropical and subtropical climates where it grows paid little attention to it. But researchers have been on a moringa kick lately, and it has prompted everyone else to take a closer look. 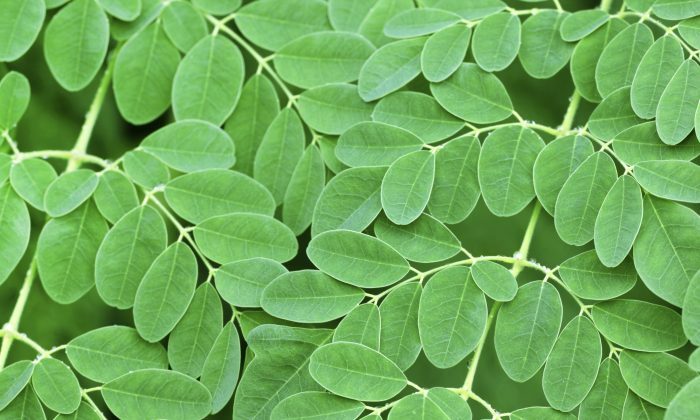 The National Science Foundation and National Geographic Society are supporting moringa research, and it was recognized by the National Institutes of Health as the Botanical of the Year for 2007. In the marketing language of the industrial world, Moringa is considered a superfood, but its potential is greater than the next health fad. International aid agencies have been promoting it as a strategy to combat malnutrition in impoverished countries. Moringa offers high quality, locally sourced nourishment that’s easy to grow. It is used extensively by the Peace Corps, and poor nations in Asia, Latin America, and the Caribbean have all begun embracing it. Where meals largely consist of starch or grains, just a spoonful of added moringa powder can make a big nutritional difference. Moringa’s high vitamin A content is probably its biggest selling point in this regard. An estimated 670,000 children a year die from vitamin A deficiency, and many believe that if poor communities grow and consume more moringa the death toll can be dramatically lowered. Ancient doctors of Ayurvedic medicine gave moringa credit for effectively treating hundreds of diseases. Over the past few years, modern research has been validating the folk remedy claims. The tree has shown promise treating diabetes, high blood pressure, constipation, cancer, anemia, ulcers, kidney problems, and liver inflammation. It’s easy to see how such a nutritious tree could improve energy, boost immune function, and stimulate breast milk production. All that vitamin A makes it good for skin diseases and heart problems. Other moringa nutrients are used to treat rickets in Senegal and Mali. Moringa is rich in antioxidants and is the best plant source of the amino acid tryptophan, which makes it good for anxiety and insomnia. Moringa has other attributes—such as an ability to regulate thyroid hormones—that reveals a plant just as much medicine as food. The tree’s strong anti-inflammatory action is traditionally used to treat stomach ulcers. Moringa oil (sometimes called Ben oil) has been shown to protect the liver from chronic inflammation. The oil is unique in that, unlike most vegetable oils, moringa resists rancidity. This quality makes it a good preservative for foods that can spoil quickly. This sweet oil is used for both frying or in a salad dressing. It is also used topically to treat antifungal problems, arthritis, and is an excellent skin moisturizer. If all that wasn’t enough, the moringa seeds can be used to purify water. Researchers have been able to demonstrate effective methods for the last 40 years. 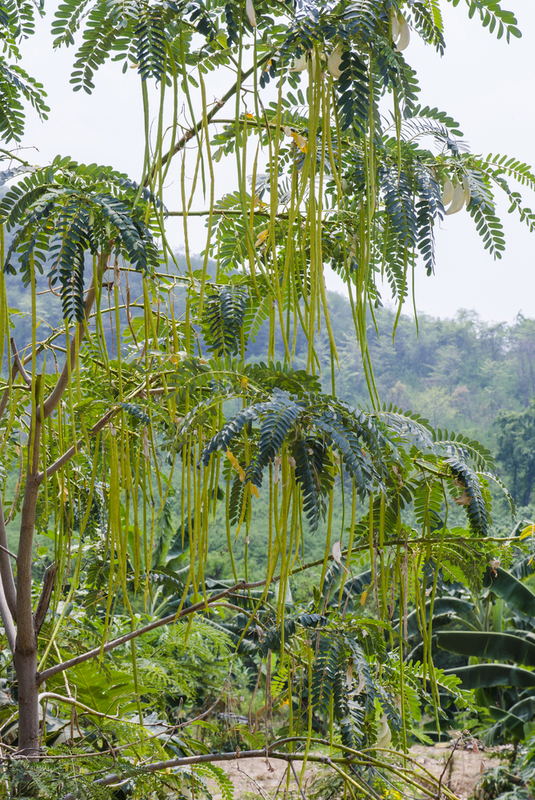 Even if you don’t live in the tropics, moringa is still easy to find. Much of the U.S. moringa supply comes from Hawaii, but some is imported from India. If you can’t get access to the fresh leaf, don’t fret: the powder is a fine substitute. Add it to soups, smoothies or other foods that could use an extra boost of nutrition. Organic moringa powder is often less expensive than other green powders on the market. Unlike the fresh leaves, moringa powder doesn’t taste very radishy, but it can have a pervasive green flavor that is not easy to hide. Start with a teaspoon and slowly build up to a tablespoon or more of moringa per day. If you still can’t stand the taste, moringa is also available in capsules. The oil is also easy to find, but be warned, it can cost up to 15 times as much as olive oil per ounce. Cold pressed, organic oil is available over the internet or in health food stores. Quality can vary widely.